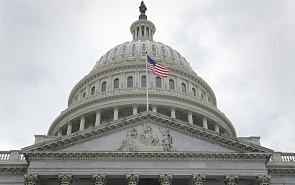 In early February, the US Senate approved Strengthening America’s Security in the Middle East Act of 2019, which is yet to pass through the House of Representatives and be signed into law by the President. More likely than not, it will be accepted in its present wording. For Russian public and private companies it is of importance from the point of view of its further codification of anti-Syria sanctions. Russia has consistently supported the government forces and is Syria’s crucial long-term partner in terms of its rebuilding as well as its economic development. To some extent, the bill enhances the sanction risks for them but will do little to change the situation in a fundamental way. The sanctions are there to stay and some Russian companies have already run into US restrictions over Syria. On April 6, 2018, for example, the US Department of the Treasury introduced sanctions against a number of Russian individuals and legal entities, including high-ranking officials, CEOs and companies (Rusal and En+, among others). Almost all of them were put on the SDN list over Ukraine, but two – Rosoboronexport and the Russian Financial Corporation – were targeted due to their involvement in Syria. Somewhat earlier, the same measure was applied to two Russian banks – Tempbank and the Russian International Bank – that had cooperated with Syria. The two banks and their top managers are still on the US black list despite the fact that the Central Bank has withdrawn their licenses. Syria itself has been under US sanctions for rather a lengthy period, with pressure on Bashar al-Assad’s government mounting steadily throughout the 2000s. The start of the civil war has just accelerated the process. However, Russia was not affected by the Syria sanctions for a long time. The situation changed in 2014, when Congress approved the Ukraine Freedom Support Act (PL 113-272 of December 18, 2014). Even though it focused on the Ukraine crisis, sanctions were introduced against Rosoboronexport and Russian companies that maintained defense cooperation with the Syrian government. This policy spilled over into CAATSA of 2017 (PL 115-44) that retaliated against Syria in two ways. The Iranian part of CAATSA made it mandatory for the US executive authority to devise a containment strategy against Iran’s asymmetrical actions. Iran’s support for Syria in the form of loans and military aid was seen as one such action. The “Russian” part was more hard-hitting, as it announced sanctions for considerable financial, technological or material aid that could enable the Syrian government to develop chemical or nuclear weapons, ballistic or cruise missiles, as well as to use a “destabilizing” amount of modern conventional weapons. These companies or individuals could be put on the SDN list, their property in the US frozen, and their visas cancelled. But it was up to the President to define the “goals” and decide on sanctions. The new bill goes even farther by intending to sanction those entering into “considerable” transactions with the Syrian government, including Syria’s military or private military organizations as well as similar Russian and Iranian operations. Apart from that, it specifies types of transactions with the Syrian government that are likely to entail US sanctions: natural gas production, production of fuel and oil products, supplies of aircraft or aircraft components intended for military use, as well as construction or engineering services. The range of sanctions has remained the same: freezing assets, visa restrictions, and blacklisting. Being put on the SDN list seems one of the most unpleasant measures, since it dramatically restricts chances of transactions with financial institutions and foreign partners as a whole. If signed into law, the bill is unlikely to affect the Russian presence in Syria. Russia’s big operators with branches abroad or active internationally are likely to avoid direct involvement in Syrian projects that will be handled by smaller companies tooled for operating on the Syrian market. It represents a much greater problem for other possible contributors to the rebuilding of Syria by actually restricting aid to and chances to deal with that country in the said sectors as long as President Assad remains in power. A new government, if installed, should be recognized by the United States and the West and accept all their conditions. It is not ruled out that the list of prohibited activities may be extended. Round about ways will have to be devised to avoid sanctions. Often this leads to higher costs and incapacitates the participation of major companies, including non-Western ones. In turn, this will slow down Syria’s economic recovery. The bill lists terms for sanctions to be eased or lifted, including obviation of air attacks on civilian infrastructure, humanitarian access to facilities sealed off by the Syrian army, release of all political prisoners, compliance with international agreements on WMD, return of refugees, and investigation into “military crimes perpetrated by the Bashar Assad regime.” It is clear that the government itself, for many reasons, will be unable or unwilling to meet all these conditions. This means that the sanctions against Syria, as well as against Russia and Iran over the Syrian package will be maintained in the long term.